The Mohegan Sun Online Casino NJ has been drastically increasing its market share within the New Jersey Internet gaming industry throughout 2017. Although Mohegan Sun did not open its New Jersey online casino until two years into the start of the Internet gaming industry, the late start has not stopped Mohegan Sun from not only catching up with competition but is pushing for the lead in NJ. The Mohegan Sun Online Casino has over 440 different games including one of the greatest virtual slot varieties in the industry. The New Jersey online casino has a new and improved loyalty program that puts cash back into the player’s pockets. When just starting out at Mohegan Sun, new players can gain a 100% match bonus up to $1000. Check out the rest of the review for the inside scoop on the Mohegan Sun NJ Online Casino with step by step directions on how to retrieve the full bonus. New players from New Jersey who use our link at Mohegan Sun Online Casino can claim a 100% Match Bonus up to $1000 on the first deposit! Go to the Mohegun Sun Online Casino using our link! Hit the orange Register Now button in the middle of the main page. Fill out the personal details to verify you are registering for the first time. 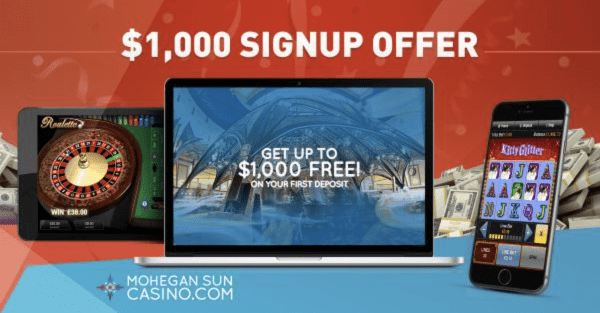 Make a first deposit of at least $10 and up to $1000, and Mohegan Sun will 100% match it in bonus cash! Your bonus cash is free to use on any online casino games as soon as the deposit is verified. However, you can not withdrawal the bonus money until you have finished the bonus play through requirements. At Mohegan Sun, the bonus wagering requirements are 20x the bonus amount for slots and 100x for all other table games and video poker. The number of virtual slots available is incredibly large for the online casino industry in New Jersey. Mohegan Sun continues to add new titles that arise and is a leader in slot variety. The Elevate loyalty program through the Mohegan Sun Online Casino has been through an improvement upgrade since the previous “Gem” program and has made it easier for players to jump tiers as well as earn more cash back from wagering on their favorite games. The Mohegan Sun Online Casino now uses an Open Gaming System (OGS) through NYX Gaming software that allows for multiple online casino game providers to integrate into the platform. The new platform gives players more of a selection both for current and future games. 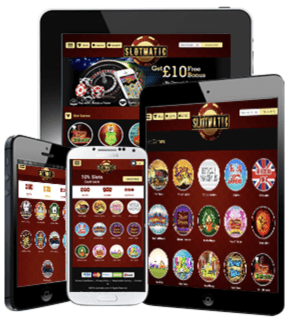 The Mobile App for both iOS and Android has over 250 online casino games to choose from, which is far more than most New Jersey online casino competitors. The Cash Back system works by turning in Elevate Points for $1 increments in real money that instantly go to your bankroll. You can then withdraw that cash by any acceptable method. The higher tier you hold, the less Elevate Points it will take to turn into cash. The game selection at the Mohegan Sun Online Casino is one of the largest of New Jersey. The wide array of online casino games rests on the collection of virtual slot titles, with table games and video poker selections being slightly above average. The high number of slot games on Mohegan Sun NJ has not always been the case, with a major increase in titles due to a partnership with NYX Gaming. NYX has taken over the online casino’s gaming software and is responsible for other big time players’ platforms within the New Jersey Internet gaming industry. On top of NYX’s in house game creation team, NextGen, Mohegan Sun also features titles from Aristocrat, NetEnt, IGT, and High 5 Games. The multitude of differing gaming software providers give Mohegan Sun players all of the top favorites and more for slot play, a decent table game assortment and a steadily growing number of video poker options. The platform on Mohegan Sun is relatively new through the partnership with NYX Gaming, but has shown a massive improvement of player reviews and an increase in market share. NYX uses an OGS or Open Gaming System to integrate all of its in-house games and to be more flexible to implement other providers games. The newer platform has given Mohegan Sun the chance to dramatically ramped up its selection of virtual slots and video poker over the last year. The layout and online interface resembles a similar design that Mohegan Sun has used in the past as well as at its brick and mortar locations. Though the layout is simple, the online platform seems slightly dated and could use an aesthetic upgrade. 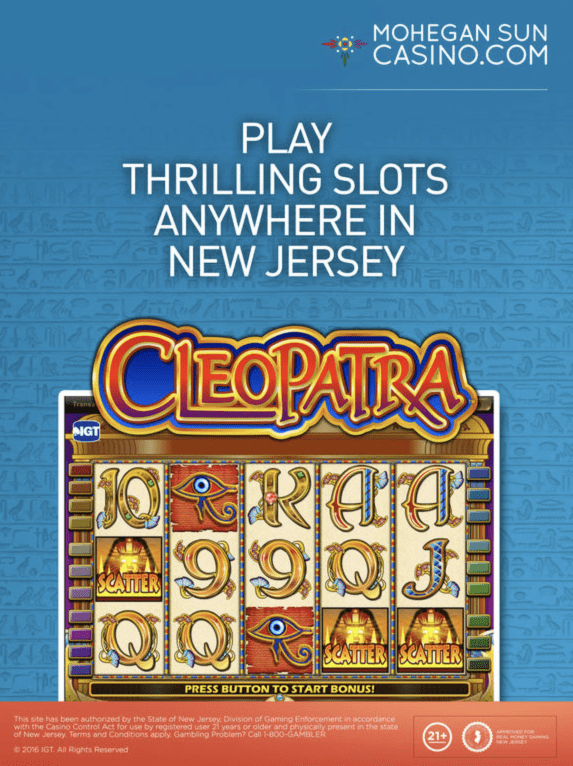 Players in New Jersey can now also play on the go through any mobile devices. The mobile app for Mohegan Sun has over 250 online casino games including a huge number of slots, and a decent amount of video poker and table game options. 250 titles is an impressive selection that leads competitors. The app is available in two different versions for both iOS and Android mobile devices. Users with iPhones or iPads can download the app on the Apple iTunes App Store where as Android users can get the app from the Mohegan Sun New Jersey website. You can manage funds through the same deposit and withdraw options through the mobile apps. Withdrawals at Mohegan Sun Online Casino NJ are relatively quick, with the e-Check taking the longest of three to five days to clear. Due to a recent financial partnership with Paypal, players can use their debit or credit cards and link them to their Paypal account. Also, it is good to know that funds withdrawn on the Mohegan Sun Card are good at any retailer who accepts Discover, and can be directly withdrawn from all ATMs that allow Discover. Is the Mohegan Sun Online Casino NJ Legal? The Mohegan Sun Online Casino is completely legal in the state of New Jersey. The online casino platform operates under a long lasting partnership with Resorts Casino, which has a brick and mortar casino in downtown Atlantic City. Mohegan Sun is actually in full control of the management for both its online casino as well as the Resorts Online Casino and deals directly with the New Jersey Division of Gaming Enforcement for state regulations. 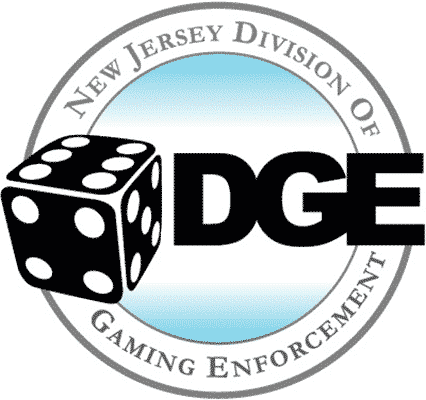 Among the regulation for New Jersey include fair play rules and information protection to ensure players are treated fairly and are fully secure when playing online. Also, the state of New Jersey requires all players are given the chance to limit deposits and their play to gamble responsibly. All real money games are solely available for those over 21 and within the state borders of New Jersey. Players will have to go through ID verification when signing up as well as geolocation services to prove they are not playing out of state. However, player pools from Nevada and Delaware are mixing with New Jersey online casino player pools for more competition, payouts and new events. If you ever run into any type of trouble on the Mohegan Sun Online Casino, there are multiple support options available. The first is the Frequently Asked Questions which are perfect for the most common issues with all of the different topics. If you have a more specific query, then you can always access the live chat within the platform. The support team can also be reached either through email via support[email protected] or through the toll free phone number at 1-800-407-9167. Through and through, the Mohegan Sun Online Casino has one of New Jersey’s top collection of online casino games, especially when it comes to virtual slots. Although the table game selection needs work, the Open Gaming System that powers the platform will make way for new additions through multiple gaming software providers. 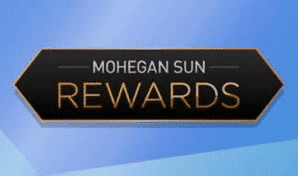 The loyalty program at Mohegan Sun cuts straight to the chase with a cash back centered reward system. 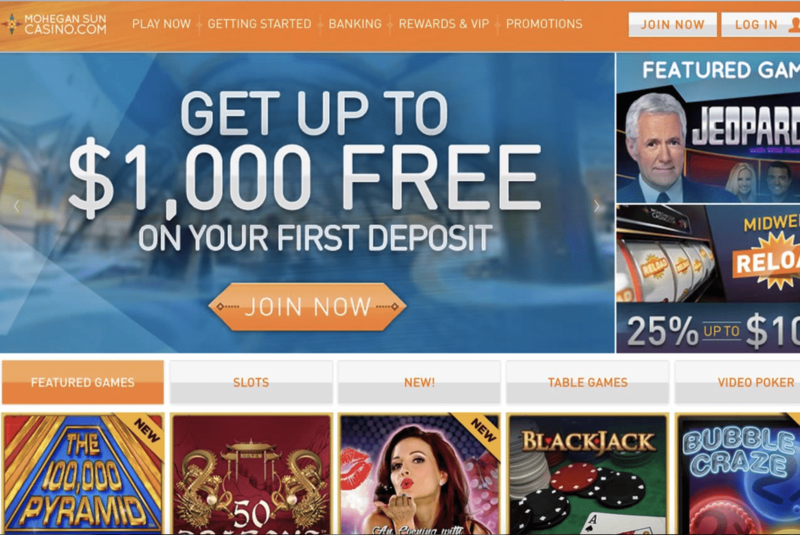 The daily free spin promotions on top of one of the largest amounts for a match deposit bonus make up for the absence of a no deposit bonus, and it only take a few minutes to sign up. Overall, New Jersey players will enjoy all Mohegan Sun has to offer with high expectations in 2018. "Fully Licensed casino in New Jersey, which offers one of the best welcome offers!"